Do you have too much stuff laying around in the race shop? Consign it in the Racers' Auction! Everything sells. You won't have to worry about someone hassling you over a price or a no-show to purchase it from you. Let the Midwest Motorsports Auction staff sell it and deliver a check to you within days of the sale! Call 815-703-0285 today! All motorsports companies are welcome to exhibit at this great show! Make new business contacts and re-connect with past customers for your racing business. Support the short track racing industry and grow your business at the same time. It's time to showcase your products or services to the racing consumer. Call 608-792-4846 today! 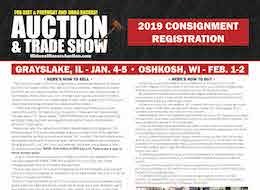 The annual Midwest Racers’ Expo will consist of four events during the 2018-2019 auction season. Buy and sell at the auction... score great bargains! 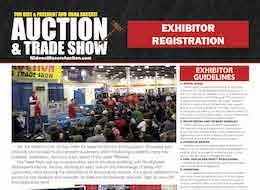 Check out the new products at the trade show displays and get caught up with your racing buddies during a mid-winter gathering. We'll see you at the Midwest Racers' Expos! "Where the Racing Fraternity Meets in the Winter"
Midwest Motorsports has served the Motorsports Industry in the upper Midwest for over 30 years. Helping out the short track, small town racers is our goal, by offering them a marketplace to buy and sell new and used racing equipment at competitive prices. Midwest Motorsports has a team that is committed to helping the short track racers find success and accomplishment in their racing endeavours. © 2007-2019 Midwest Motorsports Racers' Expo. All Rights Reserved.